Create your own individual work of art with high brightness and astonishing depth! 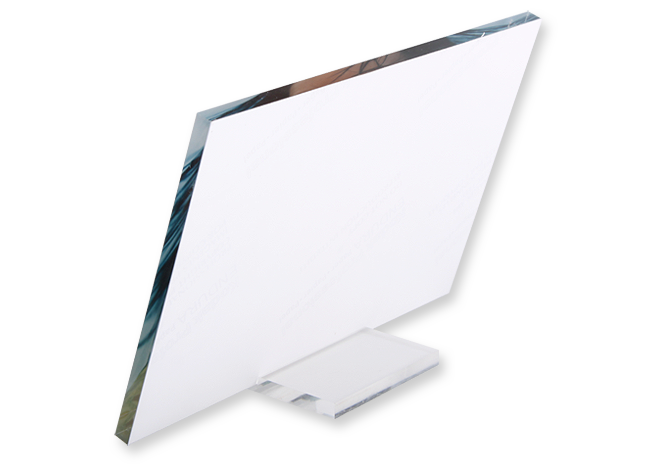 Your photographs will be reproduced in perfect quality on premium branded photographic paper and then mounted under a ½ cm sheet of thick acrylic glass. 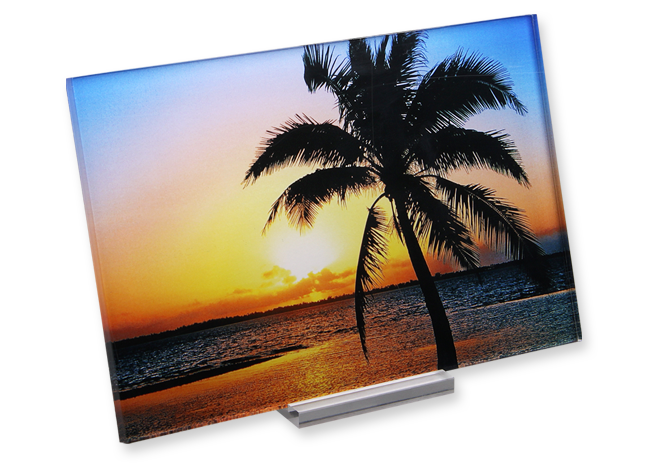 The colours in your pictures shine through the acrylic glass stronger than ever, giving them increased depth. Create breathtaking works of art in an instant. Your photograph is held loose in its elegant acrylic stand. 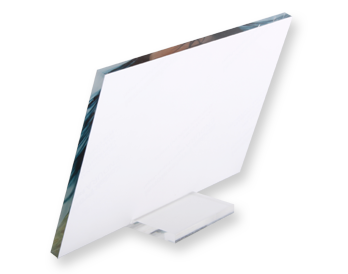 You can use the stand for both portrait and landscape format prints and position desktop acrylic prints wherever you like. 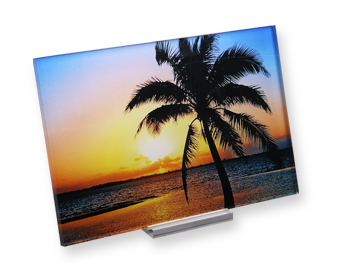 The polished edges enhance the effect of depth and turn your picture into an impressive sight from any angle.